The King IV effective date is 1 April 2017 and is significant for the governance of your organisation. If your next financial year starts on or after 1 April 2017, you must apply King IV and not King III. 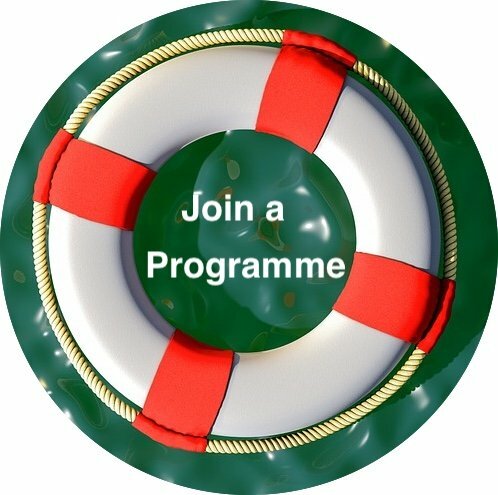 The financial year for many organisations run from 1 July one year to 30 June the next. For them, King IV is effective from 1 July 2017. So, an interesting thought is that the King IV effective date is different for different organisations. If your next financial year only starts on 1 March 2018, you only have to apply it from then. Let us look at another example. If your financial year starts on 1 May 2017 you will need to disclose how you apply King IV™ on 30 April 2018. This means that you need to be applying King IV from 1 May 2017 in order to be able to explain on 30 April 2018 how you applied it. So there is no time to lose. Ideally, you should transition from King III™ to King IV™ before the start of your next financial year so that you can apply King IV for the whole of the next financial year. Making the right tweaks is especially important because of the disclosures King IV requires you to make at the end of each financial year (reporting period) about how you apply it. King IV is effective and applies to financial years starting on or after 1 April 2017. It encourages you to transition as soon as possible. What does the King IV Effective Date mean for you? 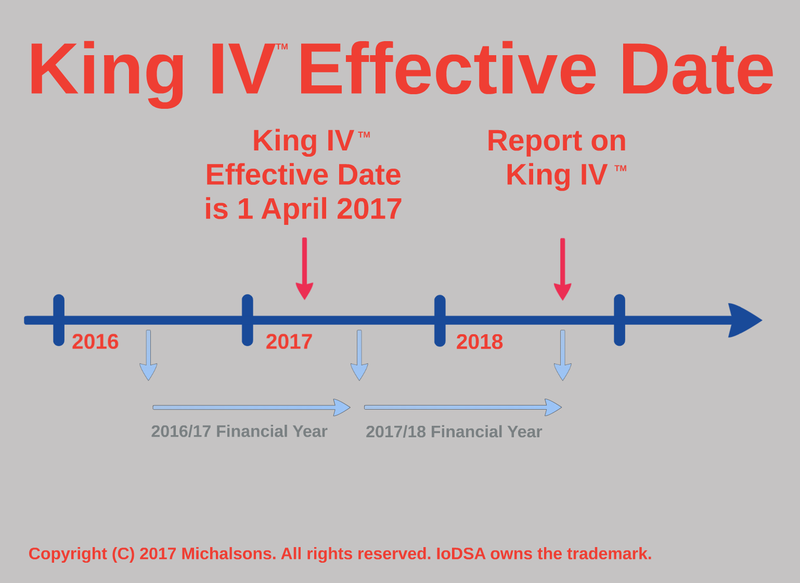 Now you know that the King IV effective date is 1 April 2017, you need to work out what the King IV effective date is for your specific organisation. There are important questions you will probably ask yourself. 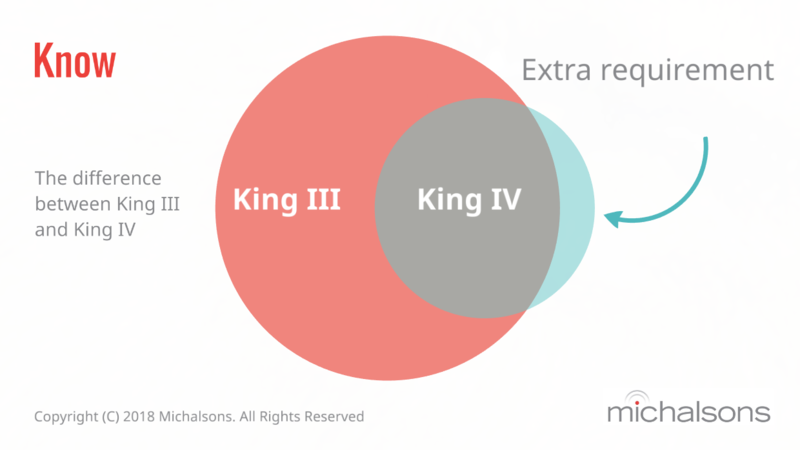 What are the difference between King III and King IV? How do I transition from King III to King IV? What action do I need to take to apply King IV considering I have already gone to significant lengths to apply King III? How much must you disclose about how you apply and plan to apply King IV during a financial year? Must the disclosure be in the form of a checklist or a narrative? When should I transition from King III to King IV? It is important that you find the right answers to all these and any other related questions. If you don’t find the right answers, you will not be able to fulfill one of your most important King IV responsibilities, namely: making the right disclosures. If you have the right answers to all the important questions you will be able to properly disclose what you actually did to apply King IV in the previous financial year, and how you plan to apply it in the next one. You will avoid inadequate disclosures that just explain unimportant aspects of how you apply the King Report and King Code on corporate governance. You will also make it easy for your stakeholders to read up on your IT governance practices by having well-written disclosures that are in the form of summarized and plain language narratives. What if a Financial Year begins before the King IV Effective Date? One of the important questions you will probably ask yourself is about whether you should apply King IV in your current financial year or not. Your financial year may not have started “on or after 1 April 2017”. Yours might have started before 1 April 2017, and now your question is: When do you start applying King IV? Do you wait for your current financial year to end before you can even start thinking about King IV? The answer is: It is better to start now. Understand King IV and start planning now for your next financial year, so that by the time it starts, you are ready to apply King IV. Empower yourself with knowledge and tools to effectively transition from King III to King IV by attending our IT GRC workshop that includes King IV. 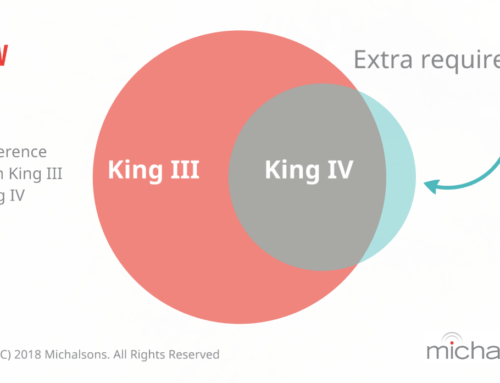 Consider the differences between King III and King IV by reading our summary and getting tables and tools from us. Find out more about King IV by reading our King IV summary. Make the right disclosures for King IV by asking us to assist you. We have created clever ways to assist you to draft accurate customised disclosures for your organisation as painlessly as possible. If you are interested, please complete the form on the right or enquire now. We will contact you to find out more about your requirements and give you a quote. 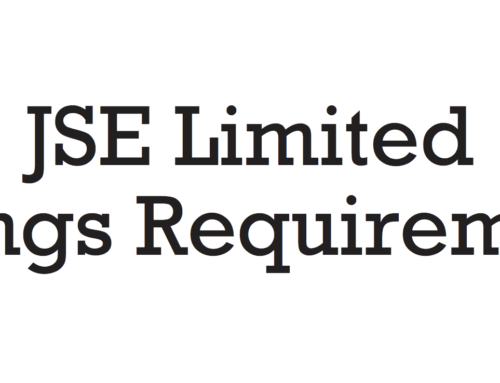 Note: The Institute of Directors in Southern Africa NPC (IoDSA) owns the copyright to all four of the King reports or codes on governance (including the latest version namely the King IV Report™) and owns various trademarks in relation to King IV (including King IV™, King IV Report™, King IV Report on Corporate Governance™ and King IV Code™). All of the IoDSA’s rights are reserved. All views are our own and we are not associated or endorsed in any way by the IoDSA. Remember that you are currently in the members area. You can always visit the public area of the Michalsons website. If you need support using the members area, please email our Support Desk or contact 0860 111 245.